The U.S. Labor Department delivers its monthly non-farm payrolls report today at 8:30am ET. Economists expect the economy added 175,000 jobs in March, after just 20,000 in February. In filing its paperwork for a possible IPO, iHeartMedia argued that broadcast radio is still relevant. That may be surprising but it's true. "Radio, the original audio channel, reaches more Americans each week than any other platform," Nielsen researchers write in their latest research report. Details: According to its findings, 92% of all adults in the U.S. listen to the radio, and 94% of radio listeners listen to a network radio station every week. In the age of social media discontent, radio provides "companionship," iHeartMedia said in the filing. "Consumers listen to the radio because the voice on the other side sounds like a friend," the company said. "It is this companionship relationship that has withstood the test of time." IHeartMedia counts 275 million listeners per month in the U.S. By contrast, Spotify said it had 207 million monthly active users, with just 30% in North America. Further, and perhaps more important to potential share holders, radio is still making money. Local radio stations are forecast to bring in $949 million this year, according to a study from ad-tracking firm Borrell Associates. PwC's Entertainment and Media Outlook 2018-2022 report predicts the U.S. radio market will total $23.8 billion by 2022 with digital radio ad revenue predicted to grow 7.8% a year to $2.3 billion by then. Traditional radio advertising is expected to reach $16 billion. What's next? Radio is diversifying. While traditional over-the-air ads still account for most revenue, radio's digital revenues grew 15% in 2018. IHeartMedia, which still owes about $5.8 billion in debt on its defaulted bonds after a bankruptcy filing (another leveraged buyout horror story), controls a massive share of the radio market and has other revenue streams including billboards and live events. It's also leading in podcasting, with 148 million downloads and streams. Yes, but: The future isn't all blue skies for radio. To quote the 1990s ska band Reel Big Fish, "The kids don't like it." While radio's reach has been remarkably consistent, holding above 90%, Gen Z is changing things. In 2005, 89% of 13–17-year-olds listened to AM/FM radio. In 2018, just 31% did, according to data shared with Axios by MusicWatch. "While a significant percentage of teens still listen to broadcast radio, they are far more engaged with streaming options that give them some form of control over what they hear," the study found. 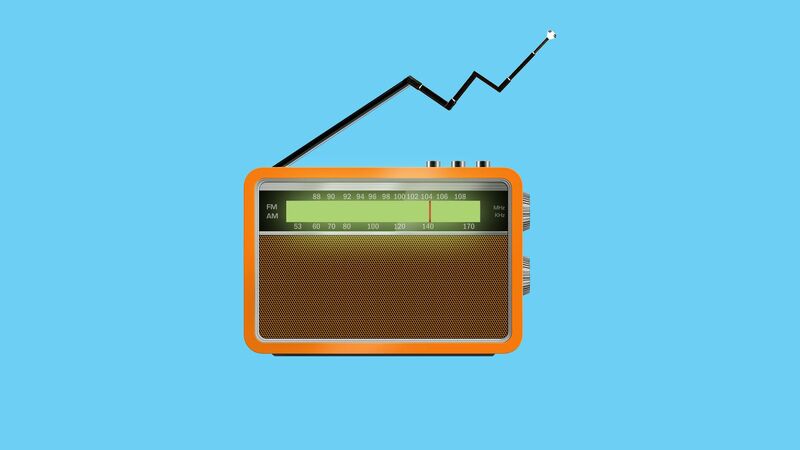 Overall satisfaction with radio also is declining. MusicWatch's 2017 study (the most recently released) found just 53% of total respondents said that they felt "very satisfied" using the radio in the car and just 13% felt satisfied with radio's integration with social media. After falling by nearly 10% in 2017, currency analysts and fund managers were expecting the dollar to continue to weaken in 2018 and 2019, but that hasn't happened. The greenback strengthened in 2018 and despite the Fed backing off of planned interest rate hikes in December and the market pricing in an expected Fed rate cut this year and another in 2020, it has done so in 2019 as well. Why it matters: The Fed's worries are reflecting weakness overseas, Yvette Klevan, managing director and portfolio manager at Lazard Asset Management, says. "The fact that the Fed is getting nervous and turning more dovish does not bode well for global growth overall," she tells Axios. "The rest of the world is already in a pretty fragile state... If the Fed all of a sudden turns dovish that doesn’t necessarily provide any boost of confidence to the rest of the world." The big picture: The dollar index, which tracks the greenback against 6 other major world currencies, including the euro and Japanese yen, has risen about 7% in value from its level a year ago. Higher interest rates and greater investor confidence make a currency more attractive for investors to hold, so a country's currency typically falls in value when its central banks cut rates. A stronger currency also makes a country's goods more expensive in foreign markets, hurting exporters and multi-national companies. Why it matters: Both headlines signal that bad economic trends in Europe are getting worse, not better, and Europe could be headed for recession. "The eurozone looks set to disappoint again in 2019," Lale Akoner, market strategist at BNY Mellon, tells Axios. What's happening: After what looked like a rebound in 2017 and optimism about 2018, this year she says she is expecting the region to "struggle to register" 1% growth — and even that outlook is based on a recovery in demand from China and emerging markets, and a soft Brexit. The weakness in Italy and its impact on Italian banks could be even more troublesome, Akoner said, bringing back memories of the Greek debt crisis — but much worse given Italy's size. "The linkages between European governments and their banks make us concerned, as they may lead to sovereign doom loops," she said. "We worry about banks' high exposures to their own government debt ... which make them susceptible to insolvency risks." Be smart: Italian banks, which are already burdened with a significant amount of non-performing loans, hold more than 10% of domestic sovereign debt as a percentage of total assets, Akoner noted. "This could easily spill over to rest of the eurozone." Since the U.S. Treasury yield curve inverted Americans have been searching terms "recession" and "economic slowdown" (not to mention "yield curve") at a high rate. Yesterday, both Moody's and S&P released notes from their economic teams announcing they do not see a recession on the horizon. Moody's expects 2.5% growth this year and 1.7% next year. What they're saying: "Slow but steady growth, coupled with a lack of wage inflation, has kept the U.S. expansion going for a decade without developing significant internal imbalances," Moody's senior credit officer Madhavi Bokil said in a release. While growing recession fears are not surprising, she says, "the most obvious signs of overheating in previous cycles, such as rapid wage growth, overconsumption, over-investment and real estate bubbles, are seemingly absent." Further, she added, a downturn comparable in scale to the 2007–09 recession is less likely today. S&P meanwhile reiterated that it pegs the odds of a recession in the next 12 months at just 20–25%, adding, however, that "recent financial market turmoil adds headwinds to this assessment." "Slower global growth, trade tensions and a moderation in fiscal stimulus have weakened investor confidence," S&P Global U.S. Chief Economist Beth Ann Bovino said. "However, the household sector, which accounts for two-thirds of overall economic output, remains healthy, supporting a still-solid domestic economy." The U.S. saw its highest level of layoffs in a first quarter since 2009, data from staffing firm Challenger, Gray & Christmas released Thursday showed. Employers cut 190,410 jobs in the first 3 months of the year — 10.3% higher than the number of layoffs announced in the fourth quarter of 2018 and 35.6% higher than job cuts announced in the same quarter of 2018. It's the highest number of job cuts in a quarter since 2015. Details: The financial industry saw the third highest number of layoffs and the year-to-date total was 239% higher than it was in 2018. Retailers continue to lead all sectors in job cuts this year with 46,061 in Q1. However, that number is 18.5% lower than retail cuts announced in Q1 2018. Retailers have announced plans to close 4,048 stores so far this year. The bottom line: The report said worry about an economic slowdown was the main driver of companies' layoff intentions.